Submitted Photo The sight of Harley-Davidsons, Nortons and several other notable brands will be on display during the Ramblers 2017 Magic City Bike Show. World class motorcycles matched with high-caliber vendors will be featured during the Ramblers 2017 Magic City Bike Show, hosted by the Grand Hotel in Minot. From coast to coast and across the country, motorcycle enthusiasts will make their pilgrimage to the Magic City to display stunning imports and custom classics. Saturday and Sunday more than 60 motorcycles will be shined to perfection and prepped for judging while 2-3 motorcycles can be raffled off to a lucky winner. In addition to witnessing the sight of Harley-Davidsons, Nortons and several other notable brands, visitors can find the latest leather apparel and motorcycling accessories. As raffles are being filled and judging is taking place, opportunities to address motorcycle awareness and raise funds for charity will be available as well. Proceeds from the bike show will benefit the Salvation Army along with various other charities. 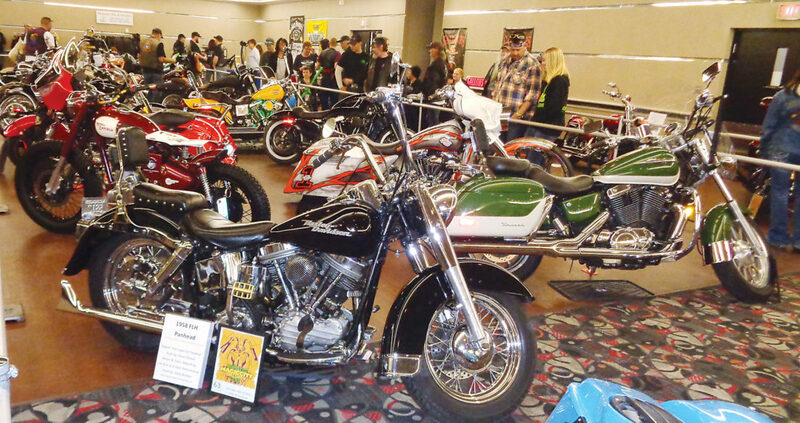 Throughout the 10th edition of the Ramblers Magic City Bike Show, Neil Nathan, a member of the Ramblers Motorcycle Club of Ray, North Dakota, looks forward to families and friends sharing their passion for bikes and the open road. As a member of the Ramblers Motorcycle Club, Nathan expressed pride to see the 10th installment of their highly anticipated bike show. For Nathan, putting on an a great show can provide joy to motorcycle fans while celebrating pioneers such as fellow Rambler Jim Rick. Today, Nathan alongside members of the Ramblers Motorcycle Club are thrilled to carry on their showstopping tradition. To learn more about the Ramblers 2017 Magic City Bike Show, contact the Grand Hotel by phone at 1-800-735-4493.